Cognitive Computing increasingly will be put to work in practical, real-world applications. The industries that are adopting it are not all operating at the same maturity levels; there remain some challenges to conquer. The wheels are very much in motion to make cognitive-driven Artificial Intelligence (AI) applications a key piece of enterprise toolsets. The journey to foster the adoption of Cognitive Computing for business applications was a focus of the panel discussion, Cognitive Computing 201 – Incorporating the Technology, held at the recent DATAVERSITY® Smart Data 2015 Conference in San Jose. Reflecting the progress in the AI area to date, Tech Pro Research recently published the results of a survey it conducted in July that revealed that 63% of respondents believe AI will be good for their businesses. That said, only 17% are actively using the technology now, and 49% have no plans for any use of AI at this point. One thing that may need to become clearer to enterprises is the fact that Cognitive Computing-based applications won’t be limited to use by select audiences like Data Scientists. Vendors building these applications for others or businesses building the apps for themselves: “must leverage Cognitive Computing to bring contextual insights and advice right to the knowledge workers when it is needed so they can take action,” said Matt Sanchez, founder and CTO of CognitiveScale and one of the speakers on the conference panel. The company offers a Cognitive Cloud platform for developing cognitive applications and processes that end business users can leverage. To illustrate that concept, he noted that the value of putting Cognitive Computing technology components to work in applications comes from enhancing worker capabilities, not from replacing workers. Think, that is, more along the lines of the J.A.R.V.I.S. suit from Iron Man, not HAL 9000 from Space Odyssey, he said. It’s about “getting increased value from the business processes that humans interact with,” Sanchez said. 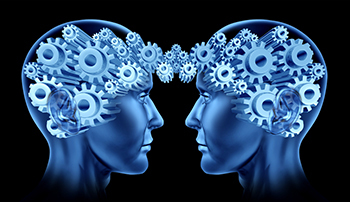 One of the issues that will help support the case for bringing Artificial Intelligence applications to the masses – from business’ internal knowledge workers to their partners to their customers – will be enhancing the human-computer interface, according to panelist Steve Ardire, an advisor to Cognitive Computing, Artificial Intelligence, and Machine Learning startups. With venture capital investments increasing in the AI arena – 300% over 2013 –“it’s becoming really a feeding frenzy out there to show new elements of how you can use human computer interaction as a critical difference” in applications, he said. Interactivity, he said, will be “a critical differentiator for the future of AI,” with efforts to add cognitive engagement by bringing personality, expressivity, and integrating emotions into human-computer interfaces. As one example, he pointed to the Auckland Face Simulator HCI work being done by The Laboratory for Animate Technologies at the Auckland Bioengineering Institute at The University of Auckland New Zealand. The live computational models of the face and brain it is creating can be used in conjunction with text-to- speech systems, speech recognition engines and Cognitive Computing reasoning back-ends, he said. Also of note are startups building lexicons of algorithms to describe emotions and feeling that can be used in Artificial Intelligence apps to promote effective engagement with users, he added. Another thing to contend with in driving a growing use of cognitive-based applications is the issue of trust. How can businesses and their end users be assured that the cognitive system they are relying on can be trusted to recommend appropriate options or answers to them, or even that the systems are autonomously acting correctly on their own initiatives? “This is very important and people working in AI know that systems not only have to generate results, but they also must explain how they came up with those results,” said panelist Cirrus Shakeri, co-founder of Inventurist, a company that is helping startups build enterprise apps based on AI technologies. Humans are pre-disposed to ask “why” and so the systems must be prepared to supply the answers, tracking back to the reasoning they have performed. Sanchez explained how a patient concierge system in use by MD Anderson Cancer Center in Houston, developed with Cognitive Scale’s technology, helps satisfy trust issues. The mobile AI app was built to understand individual patients’ conditions, preferences, and goals, and to contextualize insights to their queries about everything from diet to activities. It does so in conjunction with some 150 sources, including MD Anderson’s own library, of relevant data and care guidelines, to help inform suggestions. With such a system, there is a lot of Machine Learning, analytics, and multi-structured data consumed, reasoned over, interpreted and packaged up for the end user into real experiences they can consume, he said. Nevertheless, as important as it is to supply that insight, it is equally critical to tell patients why they are being showing particular answers, he explained. For instance, when recommending particular meals, the system will explain that the choices were informed by its knowledge of the foods the individual patient likes in conjunction with standards of care guidelines that might reflect, for example, a recent change in medication. Trust also is enhanced when users – particularly those relying on AI applications in sensitive settings such as health care – are given the option to not share certain information streams about their conditions for use in providing suggestions or decisions. Other challenges lurk when it comes to effectively incorporating Cognitive Computing in business apps. There’s a maturity curve to master here in various respects. Tony Sarris, founder and principal of semantic technology consultancy N2Semantics, and Shakeri indicated a few areas that are worthy of more attention. When it comes to the Big Data analytics part of Cognitive Computing technologies, Sarris believes there’s a general lack of getting behind what data really means in support of knowledge representation. In order to be a fully developed cognitive system, “we should take that data and really try to do some sort of emergent semantic process on it,” either through induction using machine learning or other types of technologies that can really create a richer knowledge model from that, Sarris said. Cognitive applications exist within a “ping, discover, act and learn” pattern, he also explained. The act part of the pattern leverages the knowledge base behind the system to present options to human users or steps for the system itself to take next. To be able to handle the act piece often requires putting in place task automation via a multi-step workflow, according to Sarris. That requires that more effort goes towards establishing a framework that handles connecting all different agents that interact with and hand off tokens to each other. None of this should dampen any enthusiasm for the future of Cognitive Computing-driven apps in the enterprise. If anything, things only will become more exciting as Cognitive Computing and its various layers go further in dynamically driving the shape of user engagements, recommendations and more. Panelist James Kobelius, IBM’s Big Data Evangelist, had this to say about that future: “Software development is increasingly becoming very creative,” he said. He pointed out that the highly creative millennial generation now is coming onstage, along with their preference for Deep Learning, Machine Learning, unsupervised and reinforcement learning, genetic algorithms, and so much more.